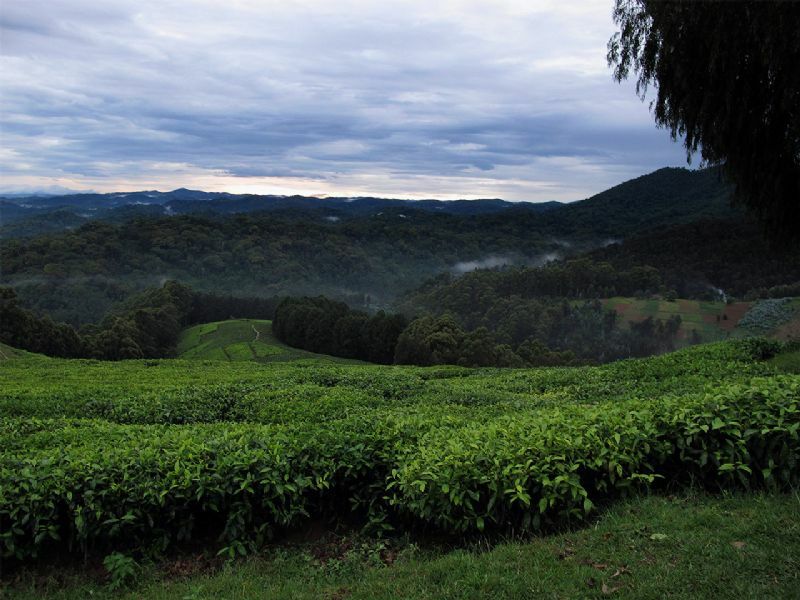 Rwanda is called 'Land of a Thousand Hills'. 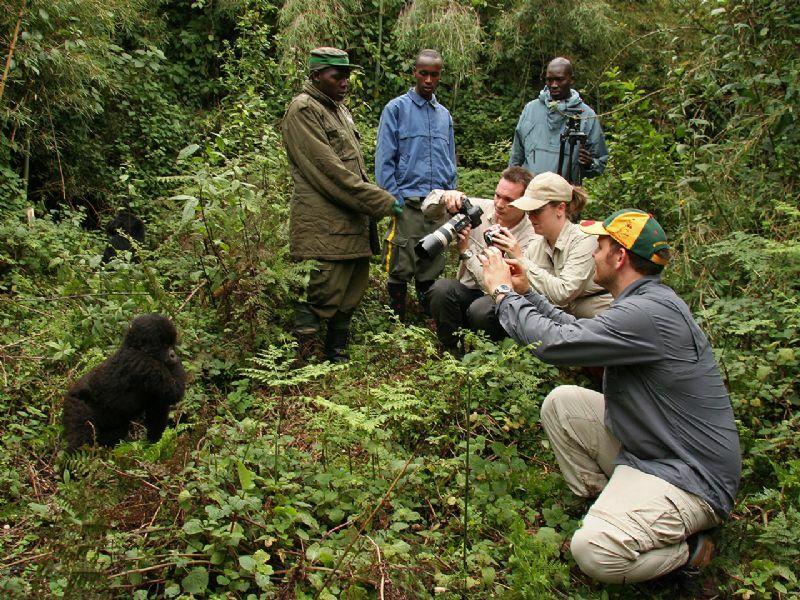 The number of tourists visiting Rwanda is growing year by year because Rwanda has much to offer! 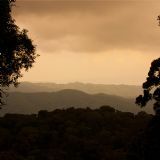 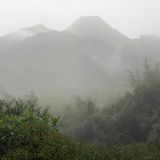 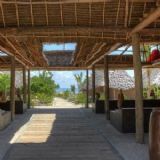 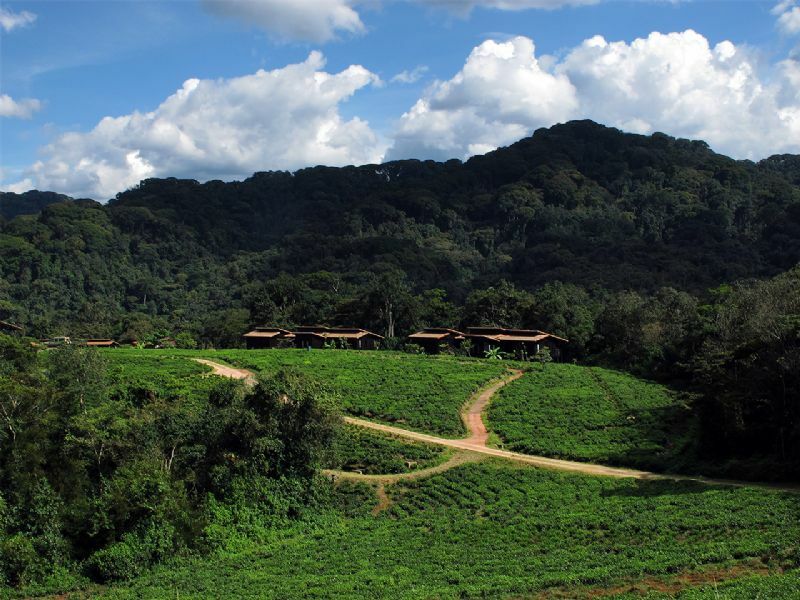 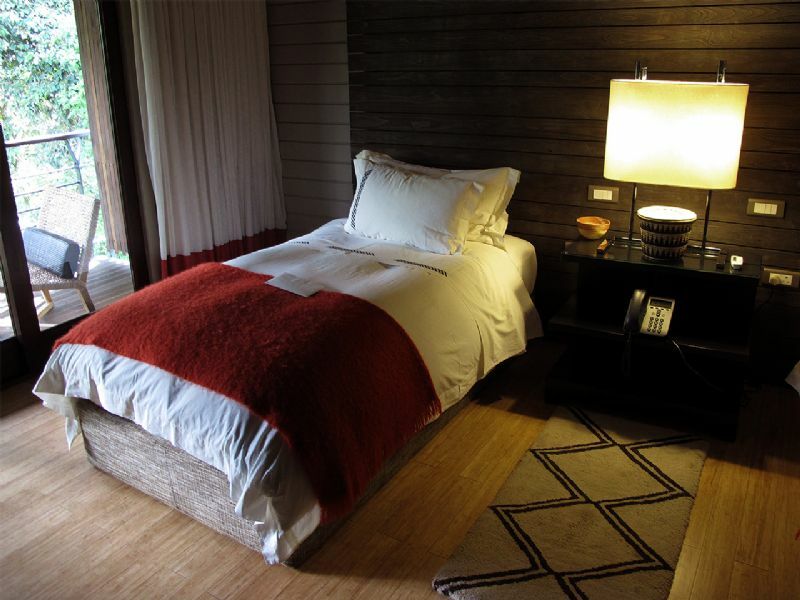 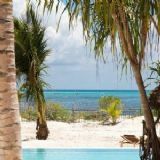 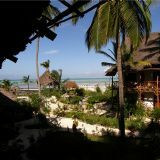 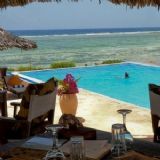 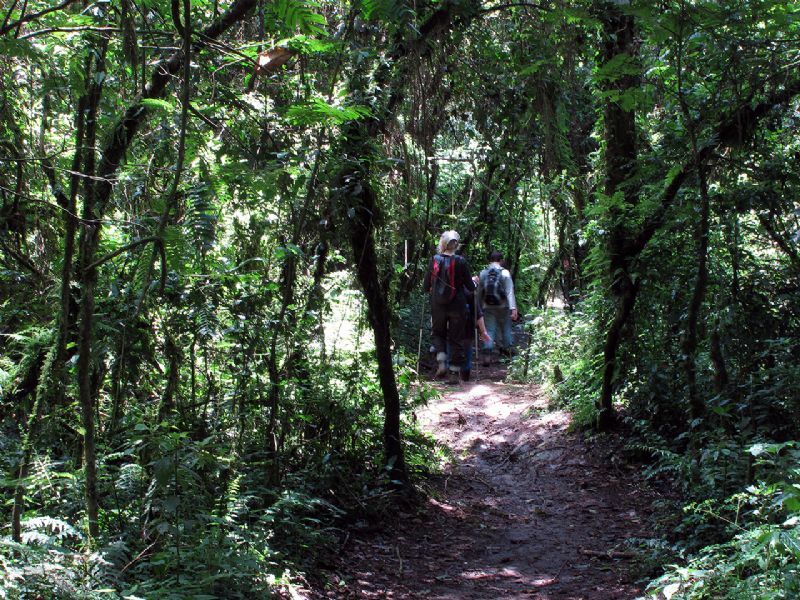 A Combination of Bamboo Forests, Tropical Jungles, Volcanoes and Savannahs. 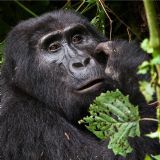 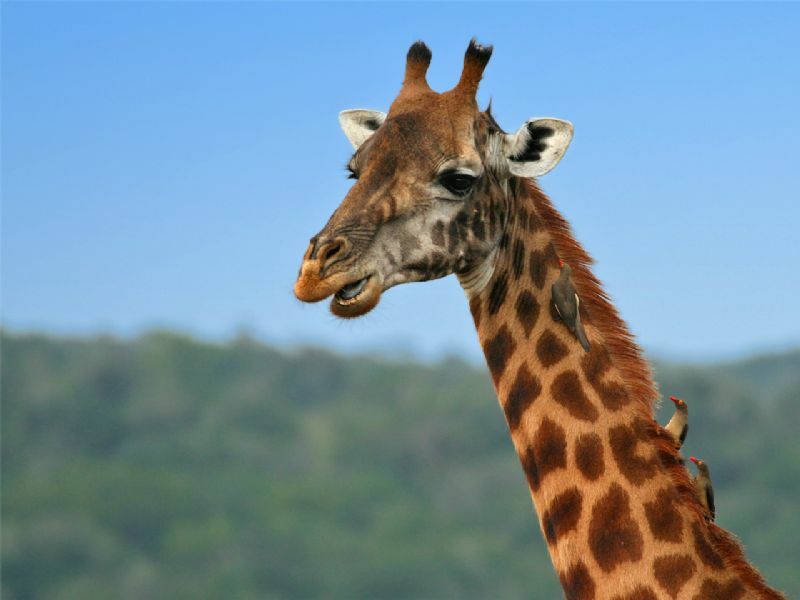 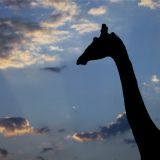 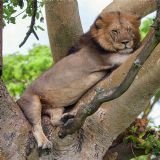 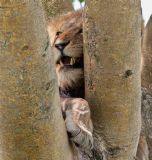 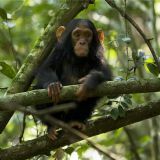 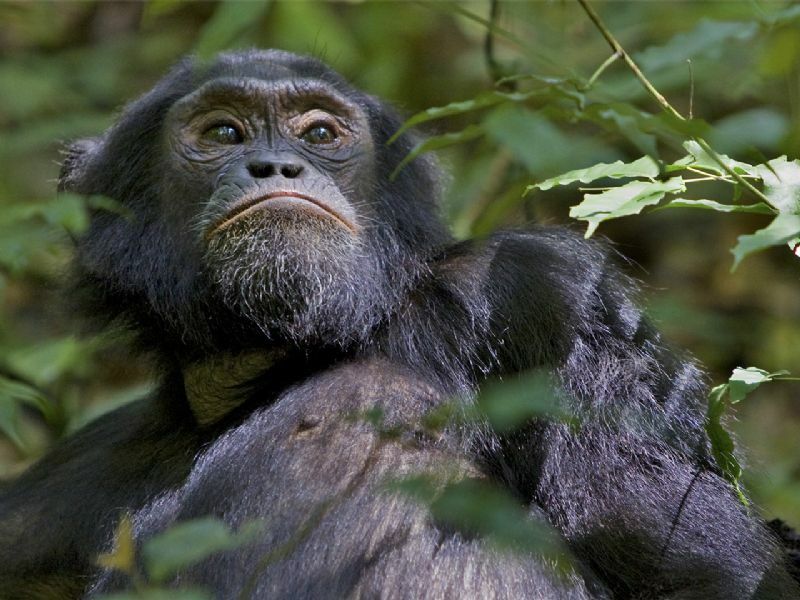 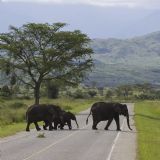 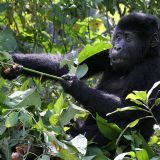 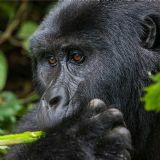 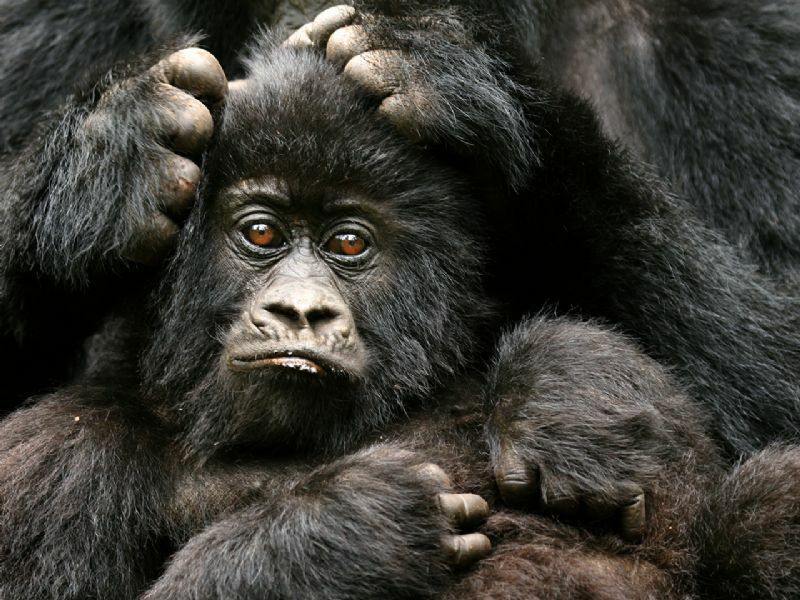 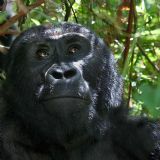 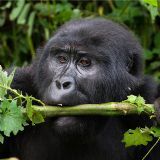 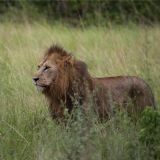 Rwanda is home to the famous Mountain Gorillas, Chimps, 11 other monkey species and also Lions, Elephants and Giraffes. 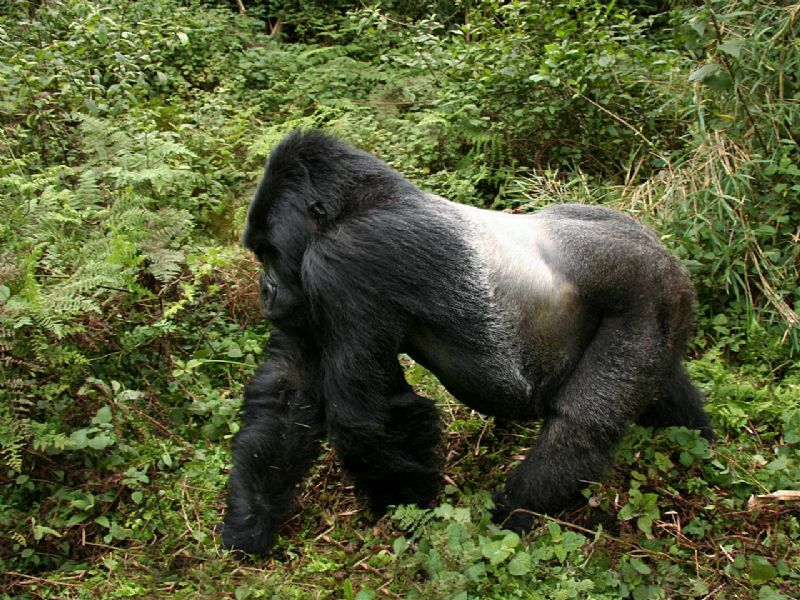 Gorilla tracking in the Volcanoes National Park (Parc National des Volcans) part of the Virunga Volcanoes (Virunga National Park / Parc National des Virunga). 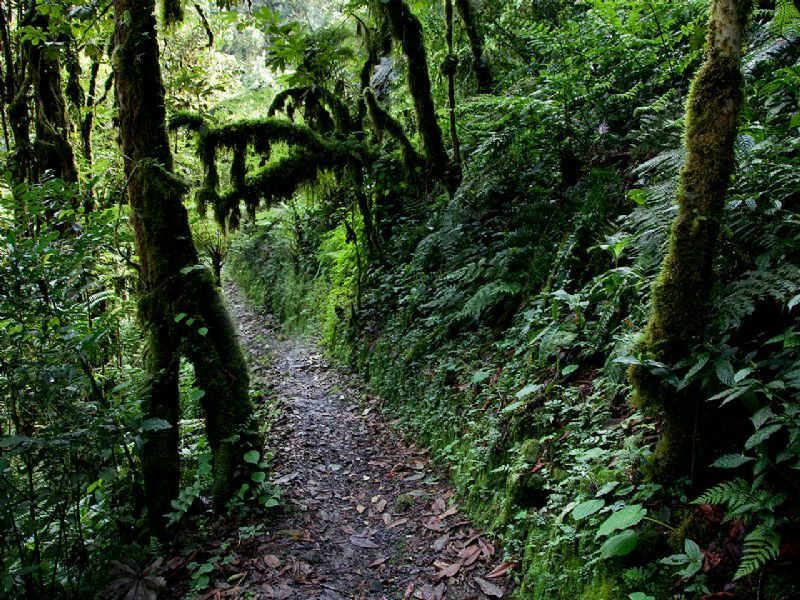 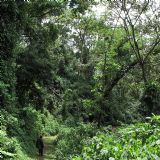 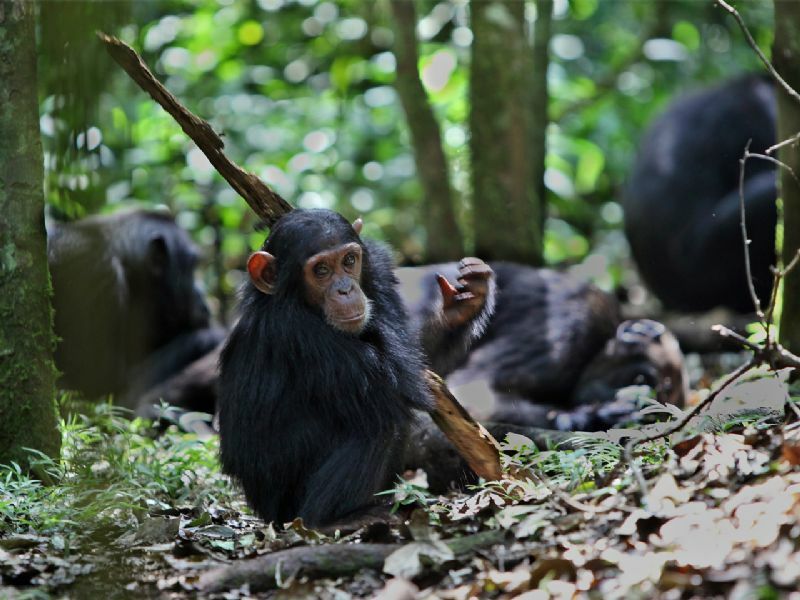 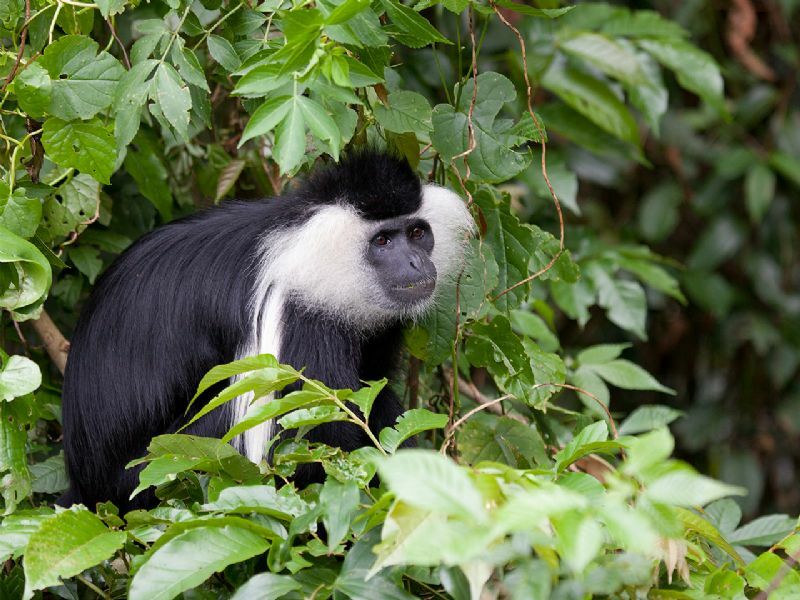 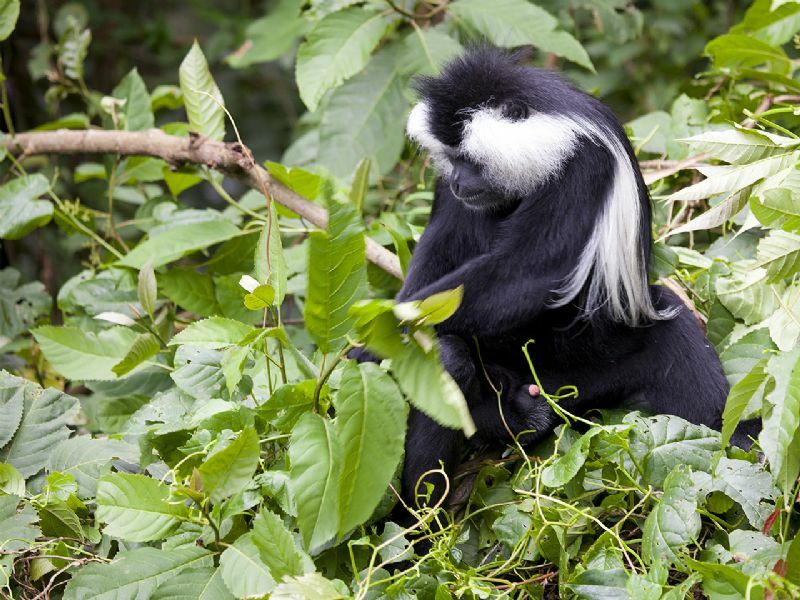 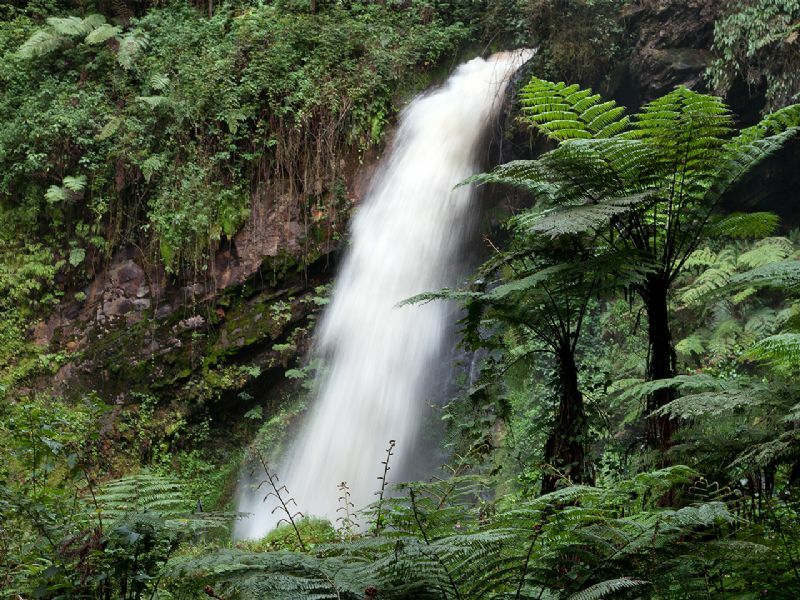 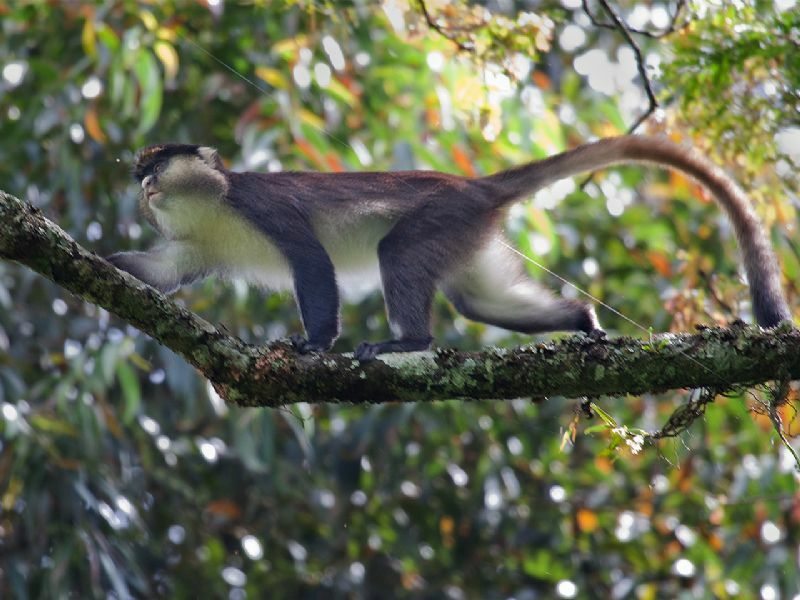 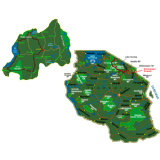 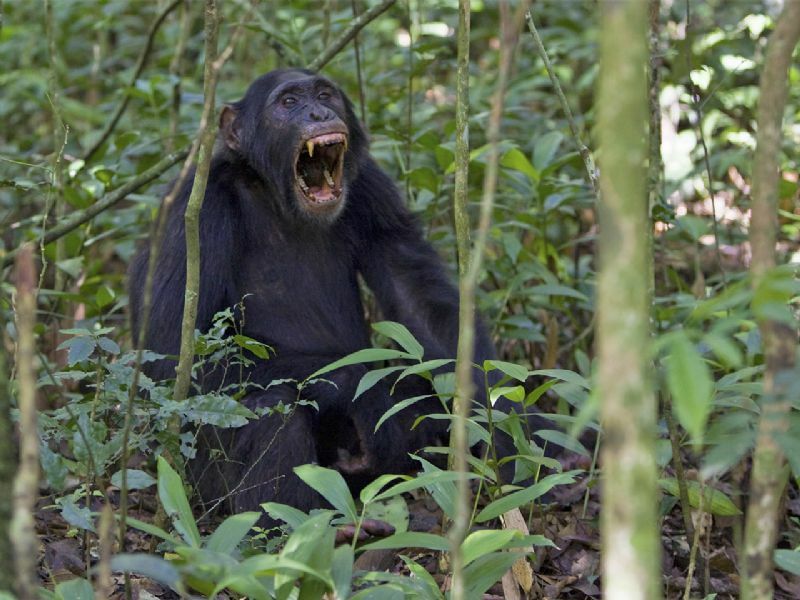 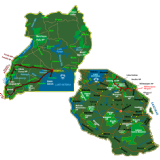 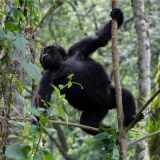 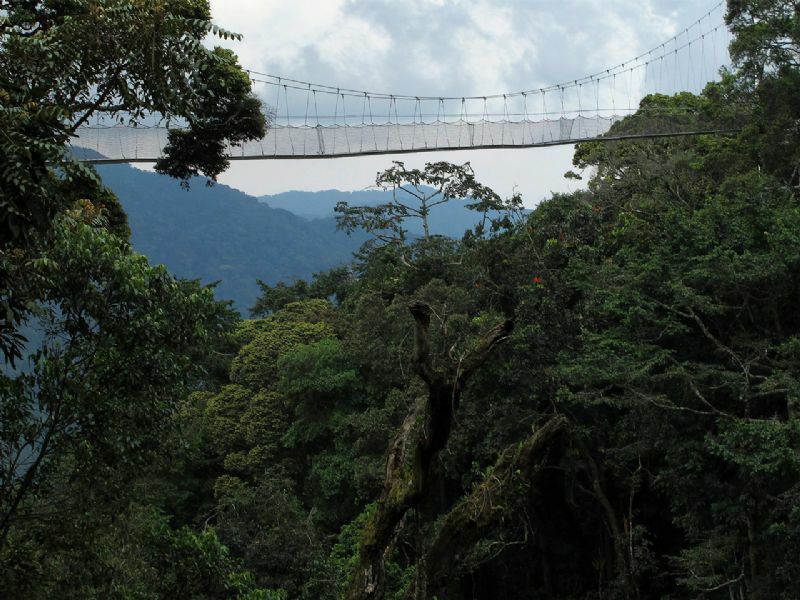 Forest Walks in Nyungwe Forest National Park (Parc National de Nyungwe) to see up to 13 monkey species, including Angolan Colobus, Red tailed monkeys, Patas monkeys, L'Hoest monkeys, Baboons, Chimpanzees and up to 280 bird species. 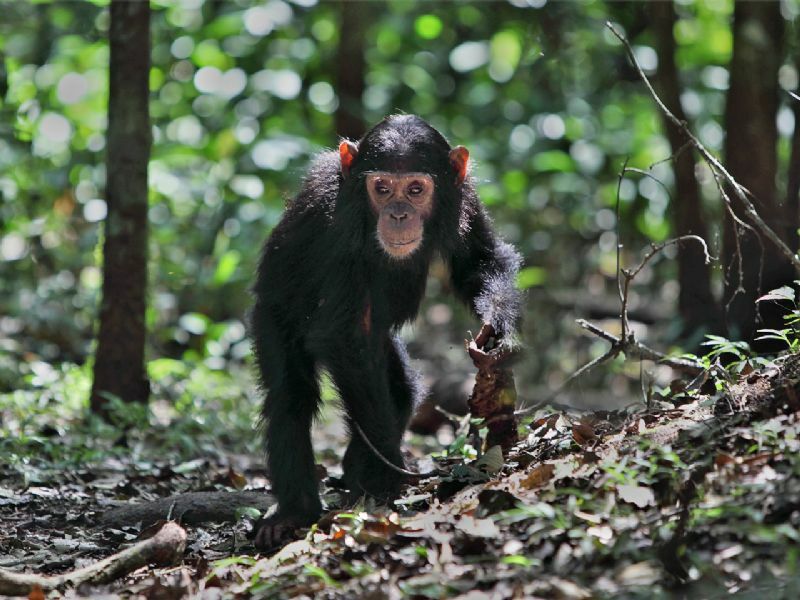 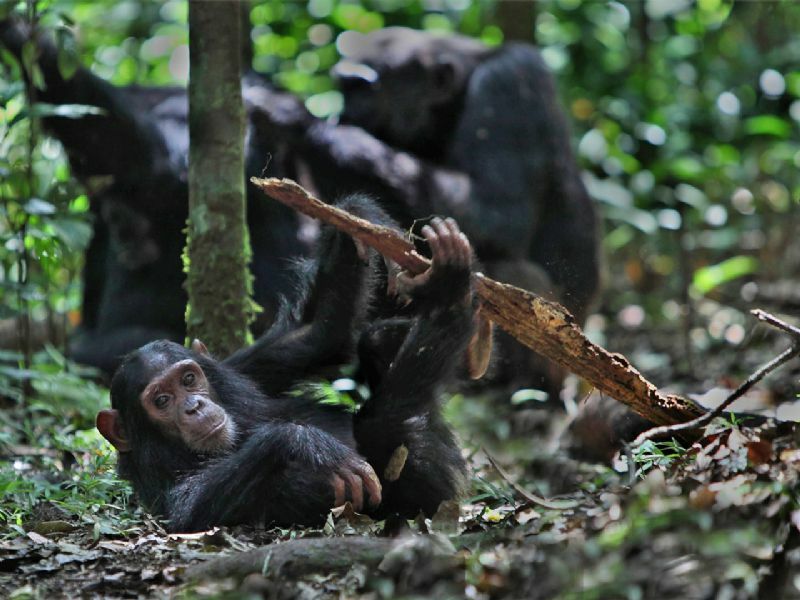 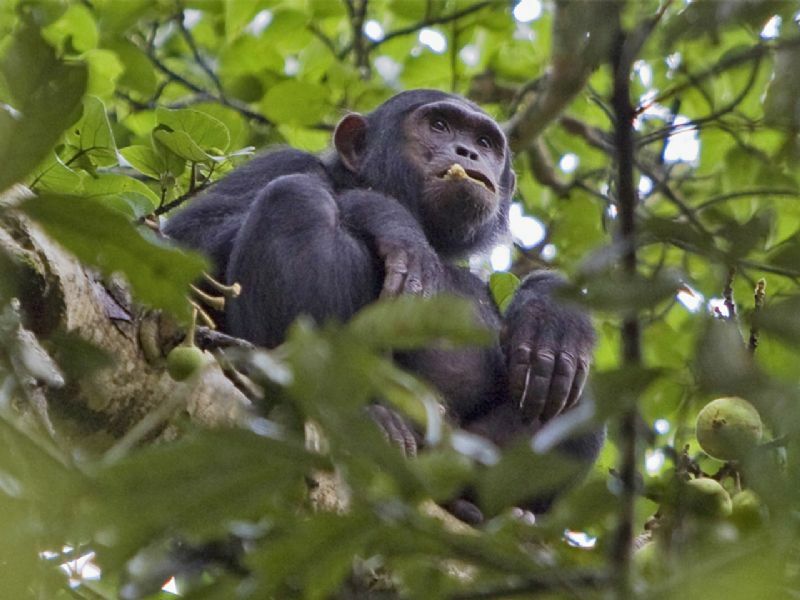 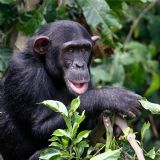 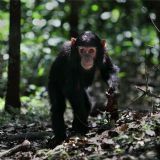 Chimpanzee tracking in Nyungwe Forest. 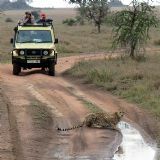 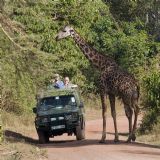 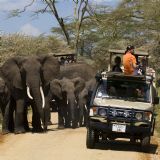 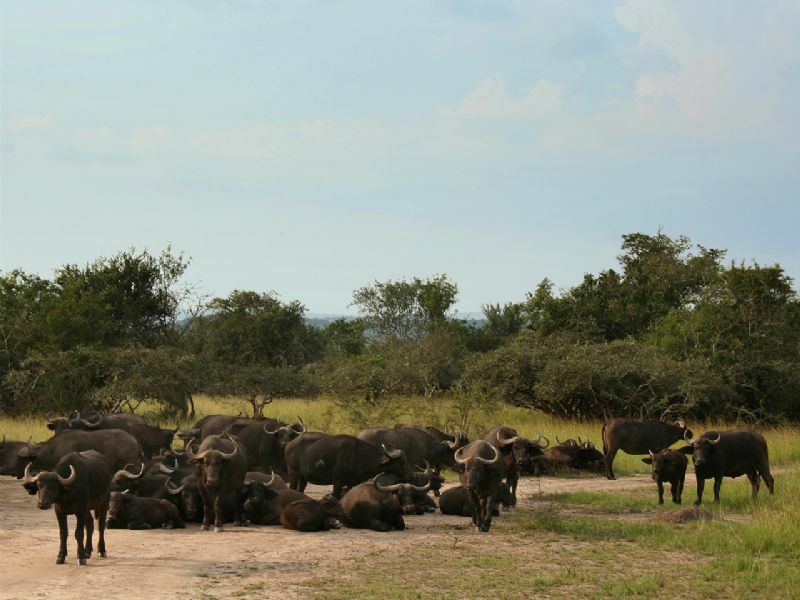 Game drives on the Savannas of Akagera National Park (Parc National de l'Akagera). 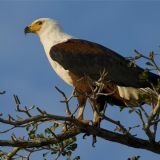 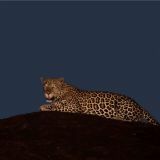 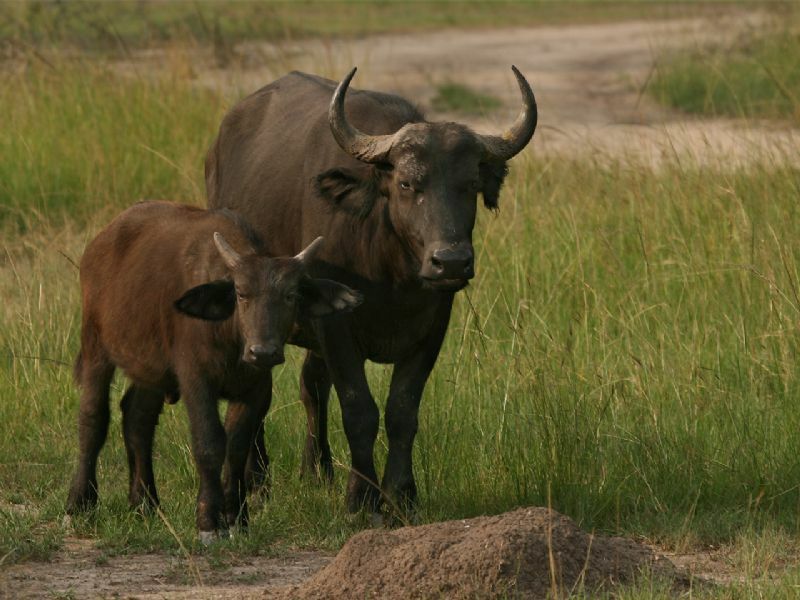 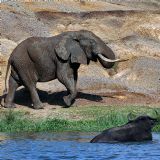 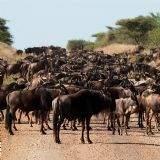 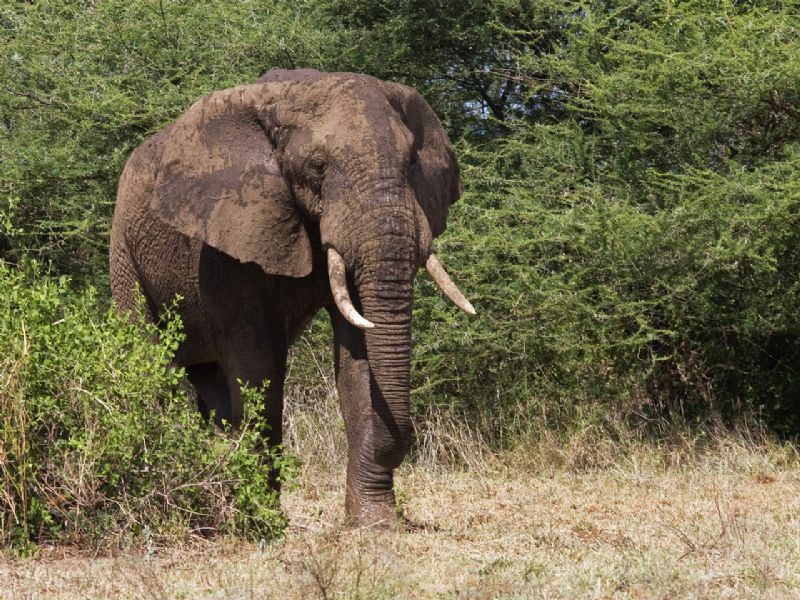 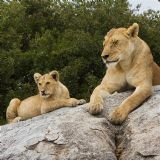 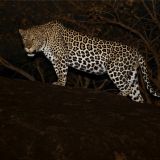 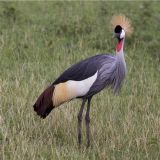 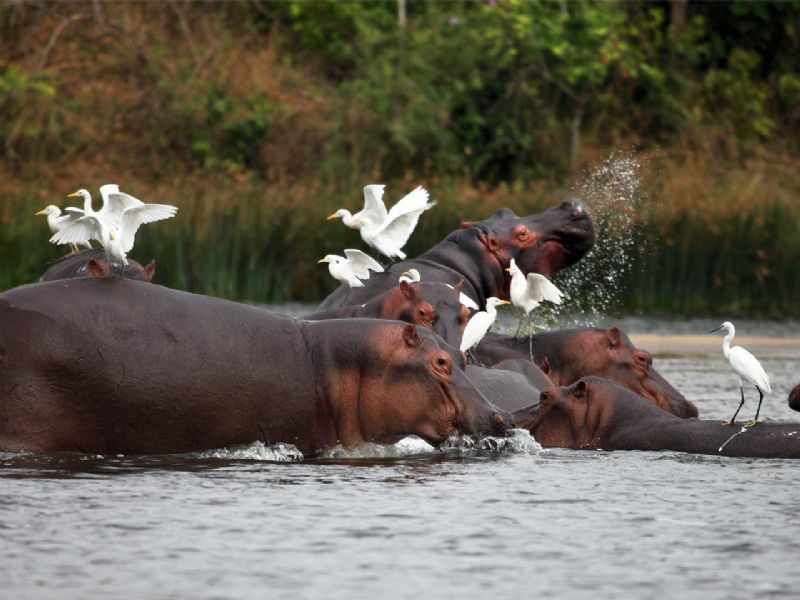 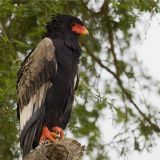 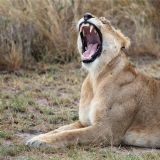 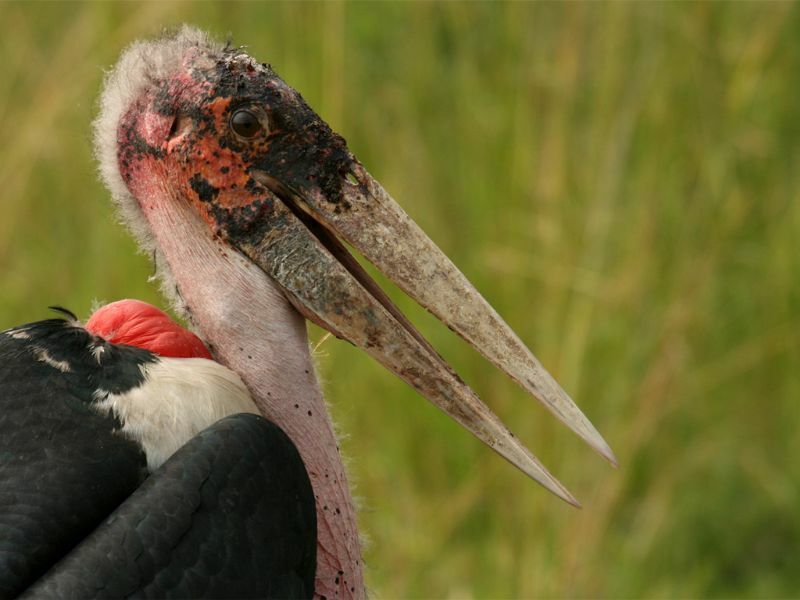 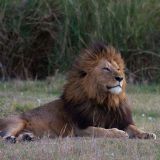 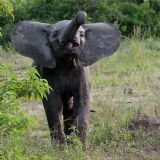 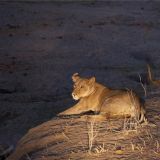 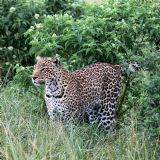 Wildlife includes: Elephants, Lions, Buffaloes, Leopards, Giraffes, Zebras, Hyenas, Warthogs, Baboons, Hippos, Crocodiles and up to 550 bird species. 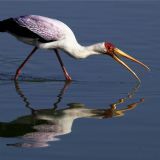 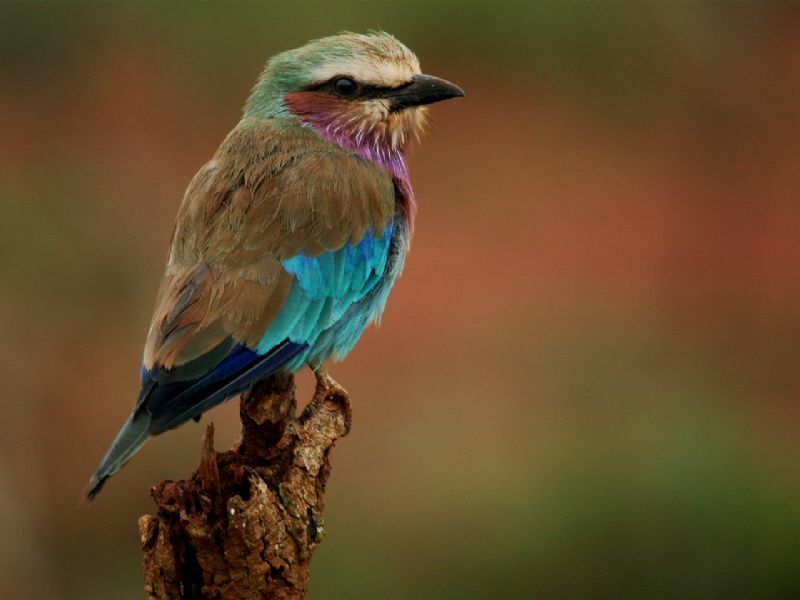 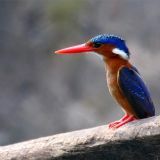 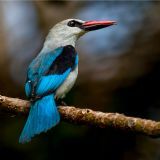 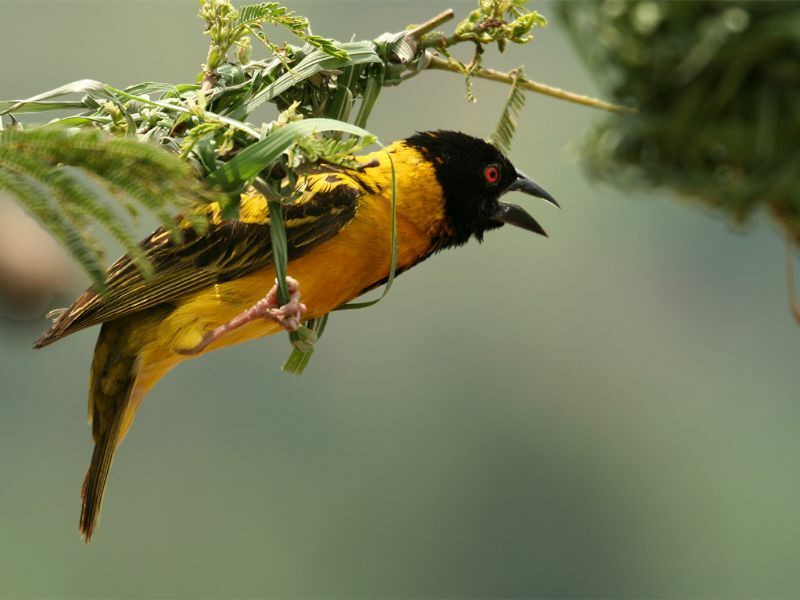 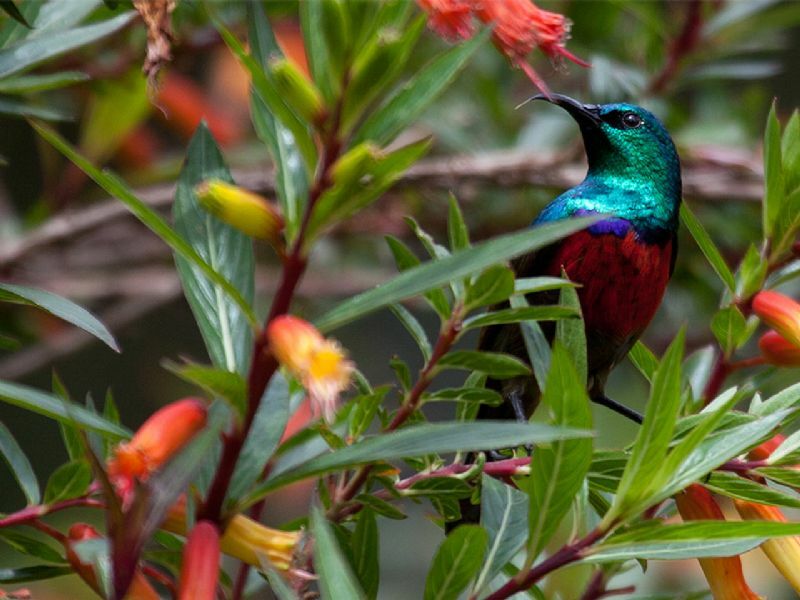 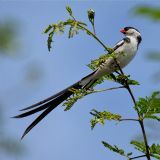 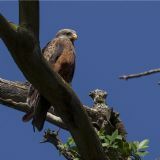 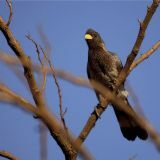 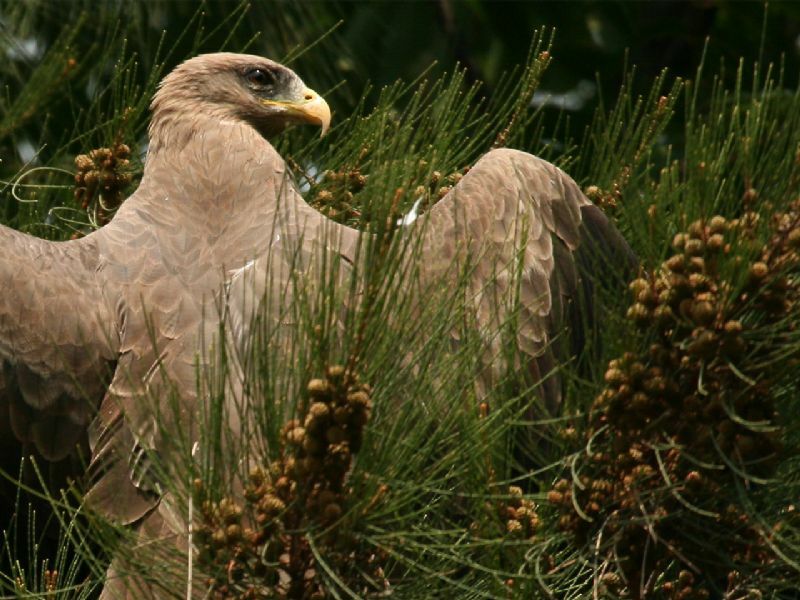 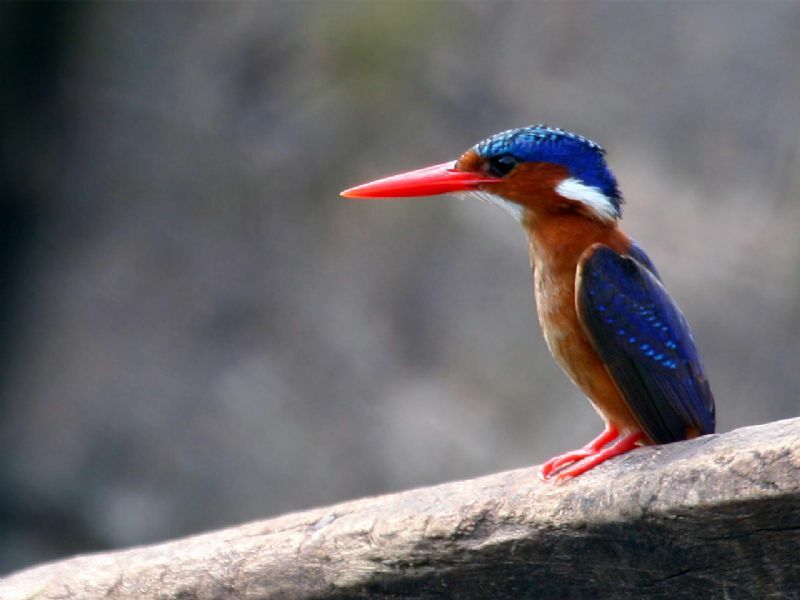 Birdwatching with up to 800 bird species. 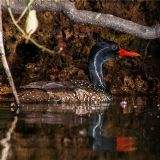 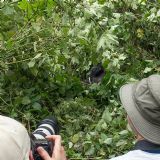 It is possible for a birder to see up to 400 bird species in one trip. 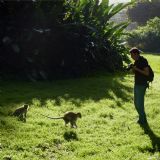 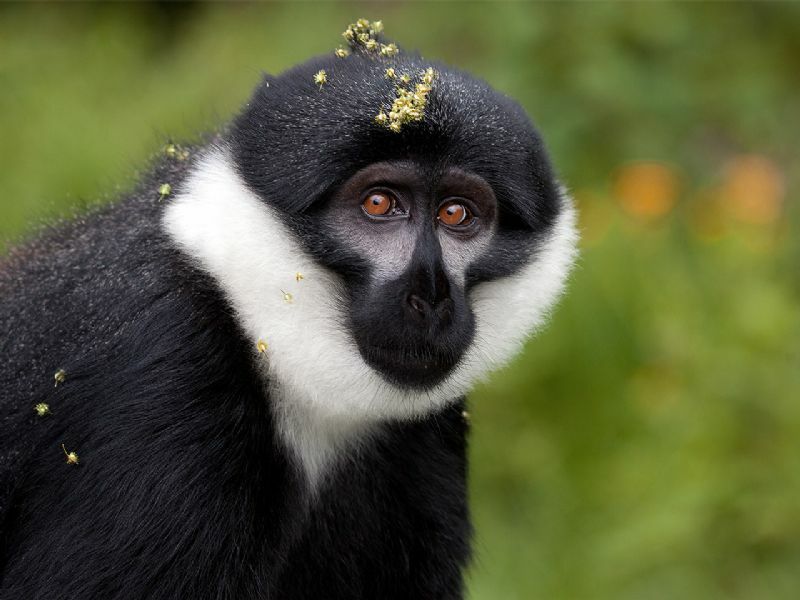 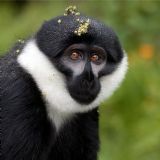 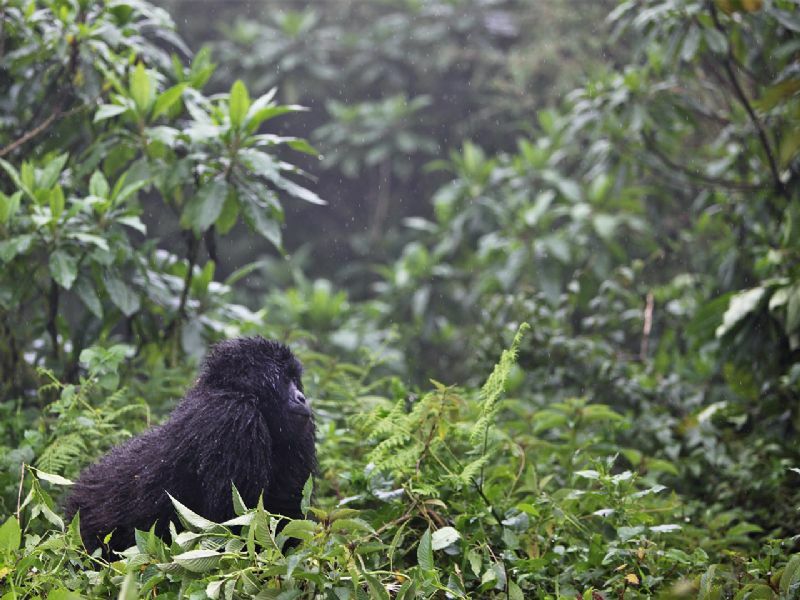 Visit the Golden Monkeys in the Volcanoes National Park. 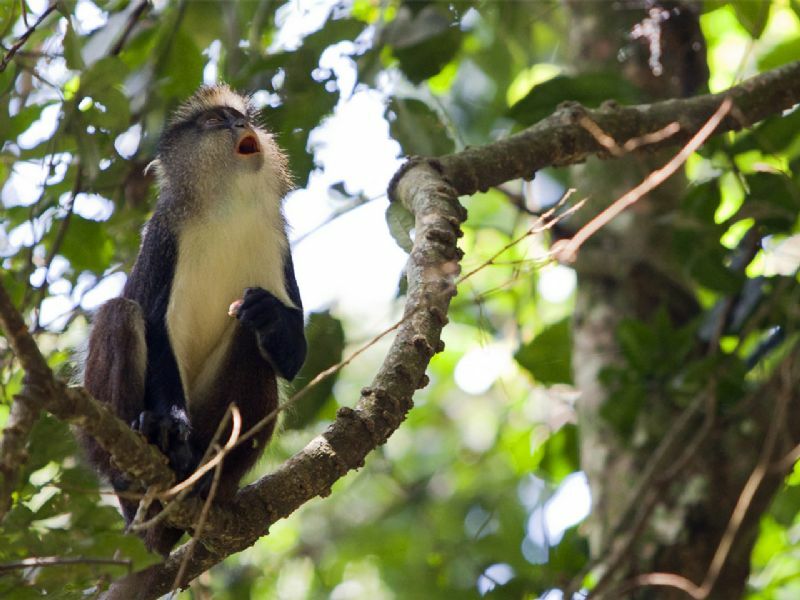 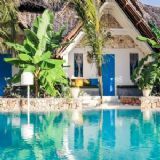 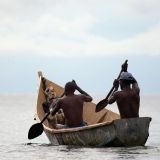 Relax on the idyllic islands of Lake Burera and Lake Kivu, with its tropical sandy beaches. 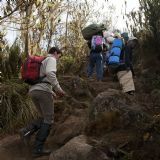 Climbing the Virunga Volcanoes in the Volcanoes National Park. 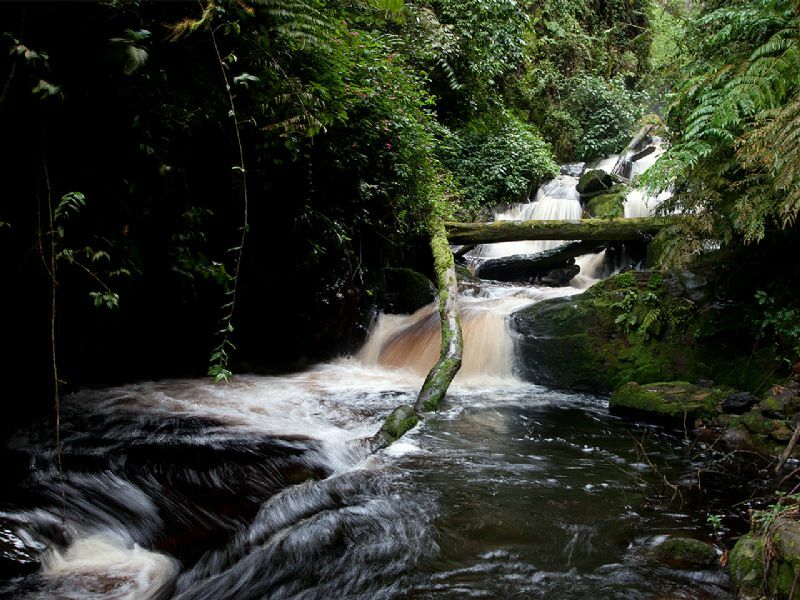 Hiking / Trekking through the jungle of Nyungwe Forest, with it's beautiful waterfalls and fantastic scenery. 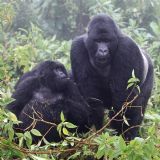 Visit Diane Fossey's grave (Diane Fossey's Tomb) next to the gorilla graveyard, Karisoke Research Centre. 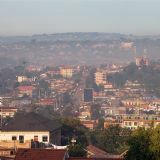 Visit Kigali, Rwanda's attractive capitol, with the Genocide Memorial, museums and craftcenters. 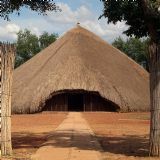 Visit the National Museum in Butare (Huye). 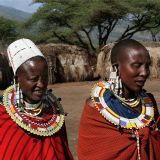 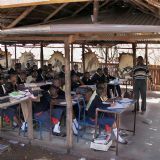 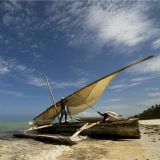 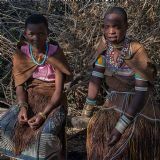 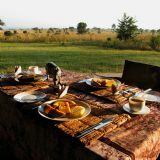 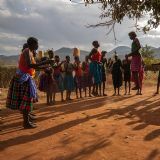 Visit local tribes, enjoy a typical African church ceremony or spend an afternoon with a local family. 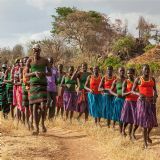 Visit the pygmies and experience their unique culture. 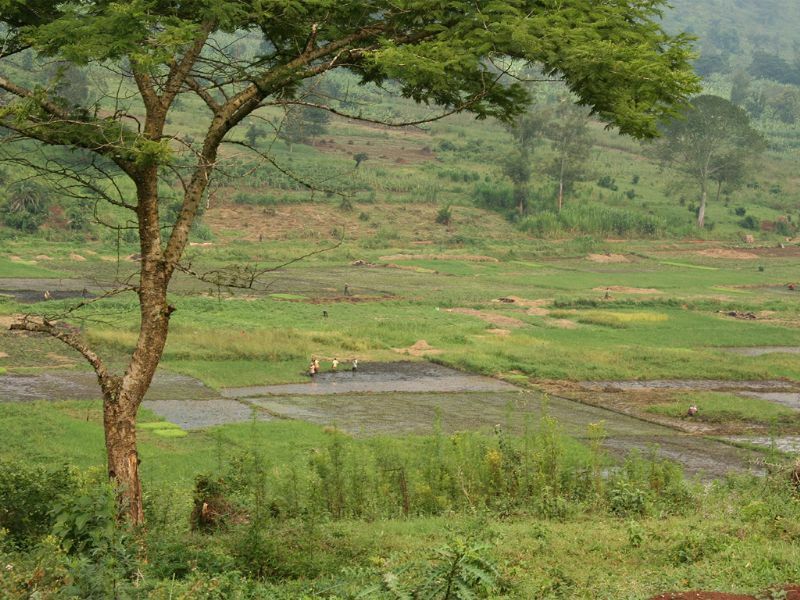 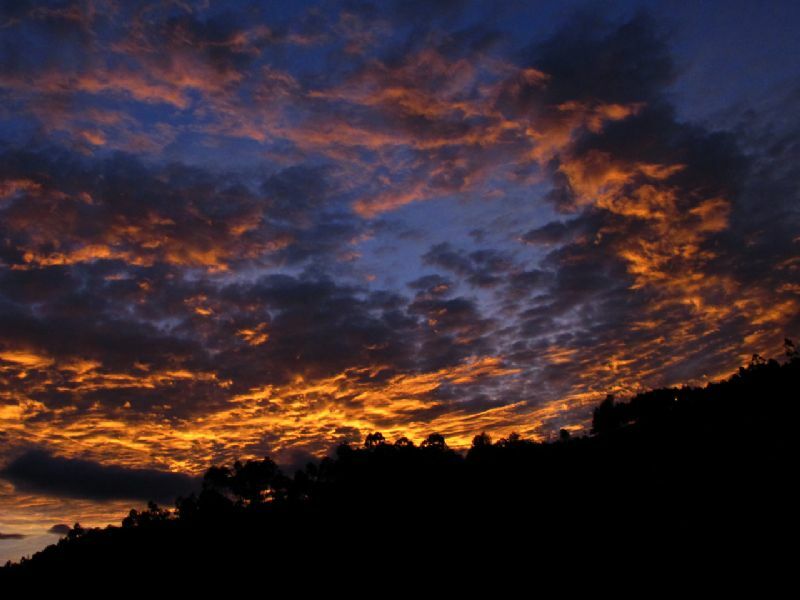 Rwanda is often called ‘Land of a Thousand Hills’. 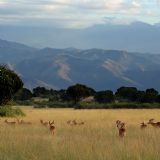 Rwanda is a small, land-locked country on the eastern rim of the Albertine Rift Valley, part of the Great Rift Valley. 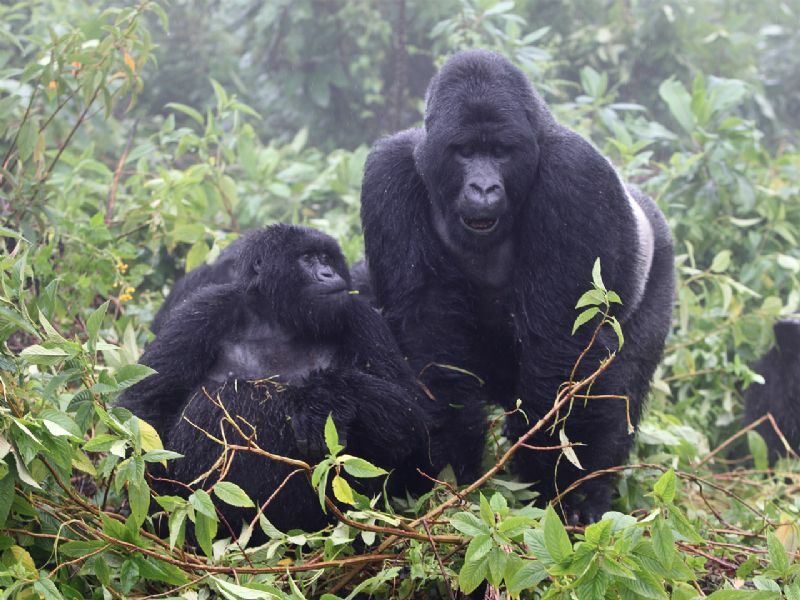 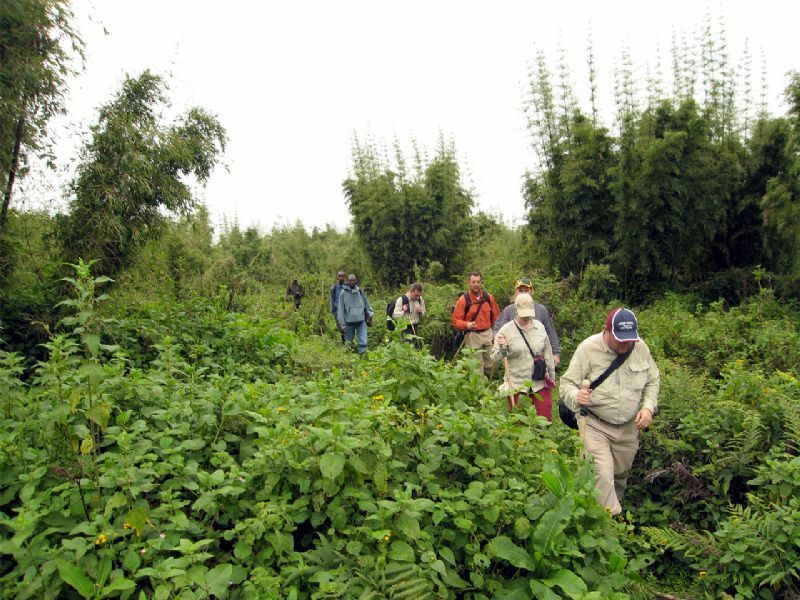 Rwanda is experiencing a tourism rebound after falling of the map after the genocide in 1994. 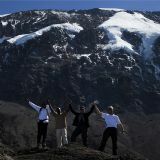 The country now has many international visitors and is regarded as a safe place for tourists. Getting around is very easy, because the distances are relatively small and the paved roads are generally in good condition. 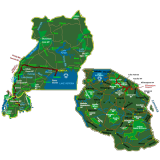 Rwanda is bordered by Uganda, Burundi, the Democratic Republic of Congo and Tanzania. 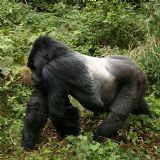 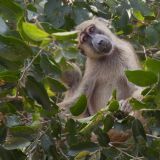 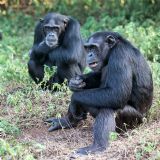 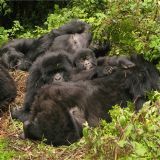 Come and see for yourself, Rwanda has a lot to offer: Five volcanoes in a row and the biggest concentration of mountain gorillas in the Volcanoes National Park, vast tropical rainforest in Nyungwe Forest, with Chimpanzees, large troops of Angolan Colobus Monkeys, Mona Monkeys, Red-tailed Monkeys, Patas Monkeys and Blue Monkeys. 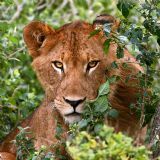 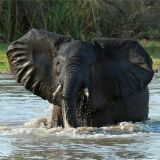 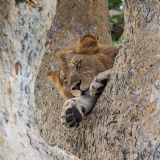 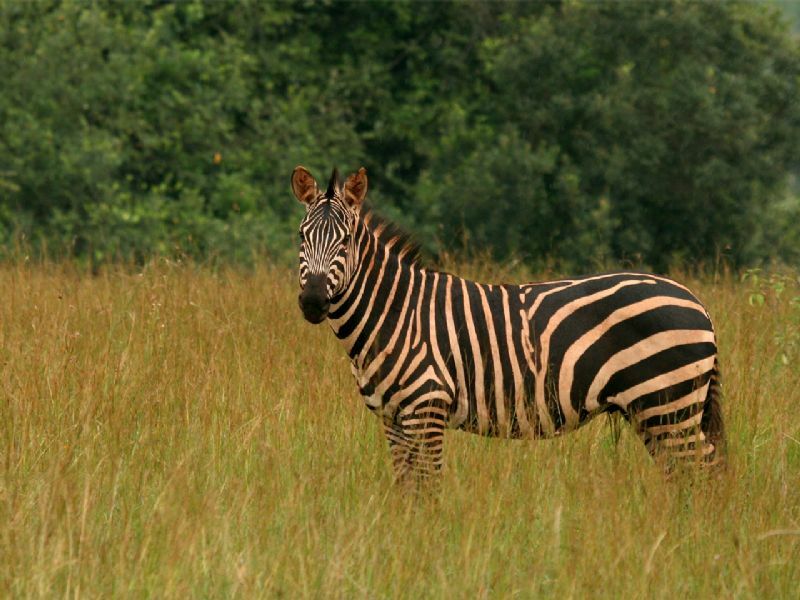 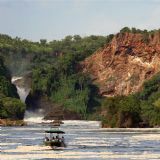 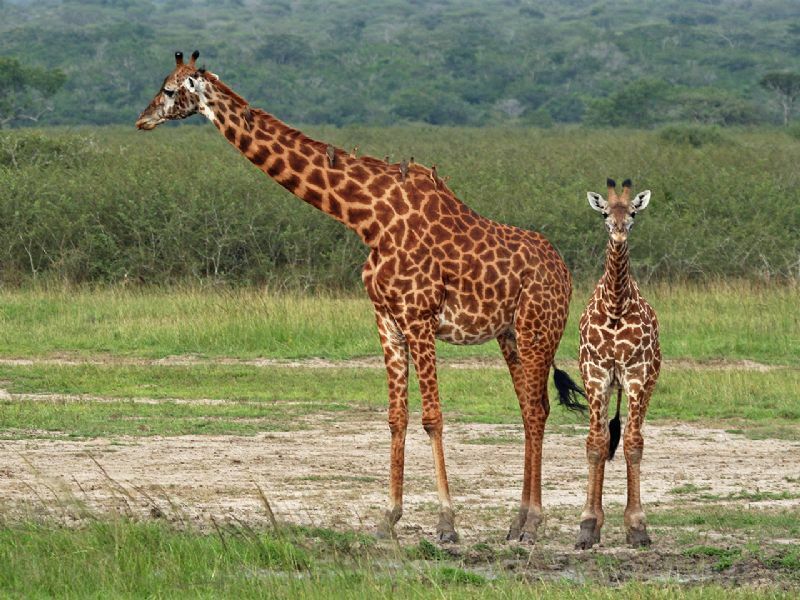 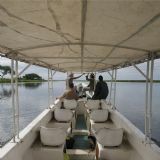 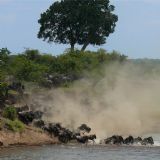 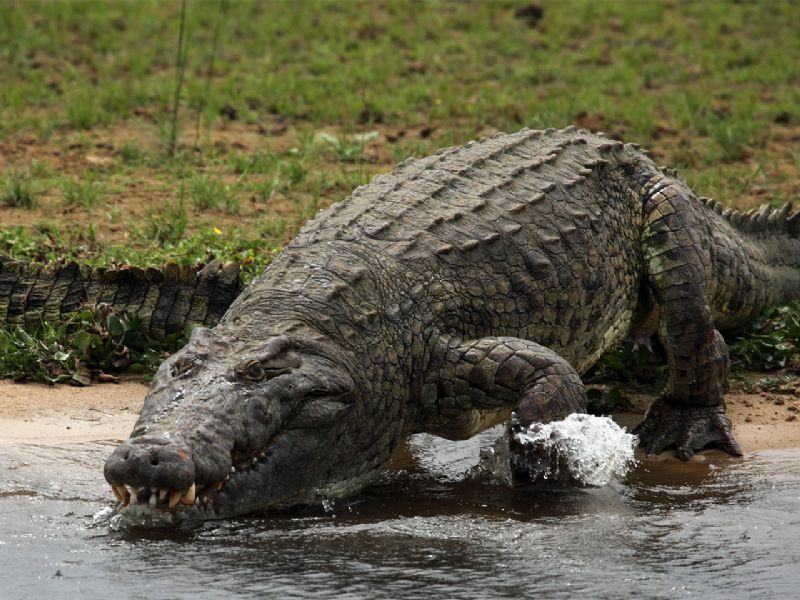 Great Savannas in Akagera National park with the large animals like Elephants, Lions, Buffaloes, Leopards, Giraffes, Zebras, Hyenas, Warthogs, Hippos and Crocodiles and a stunning scenery at Gisenyi on lake Kivu. 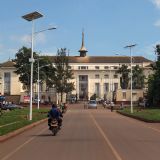 Kigali is the vibrant capital, which is slowly regaining its former reputation of its great nightlife. 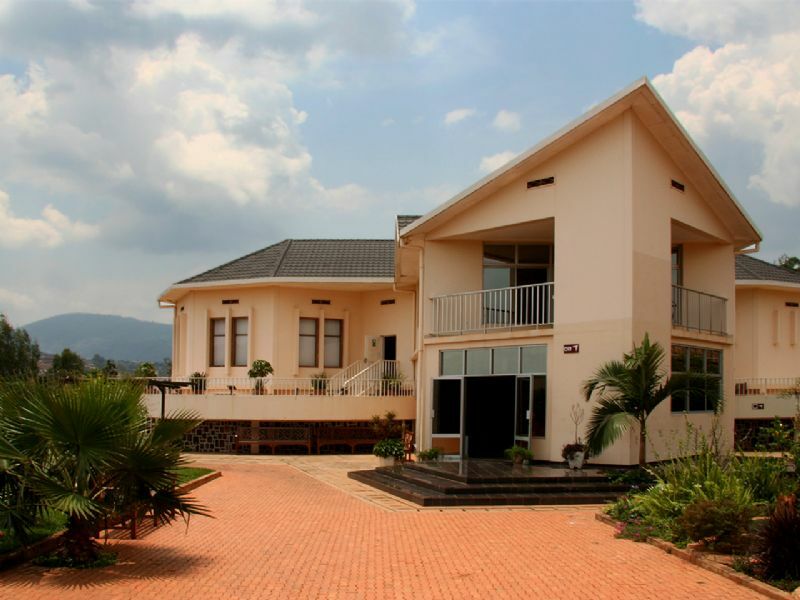 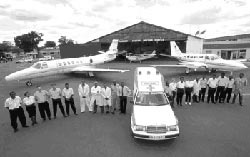 Kigali’s international airport serves domestic and several international destinations. 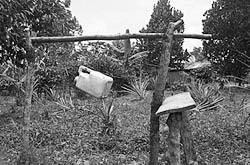 Kigali is also home to the National Genocide Memorial. 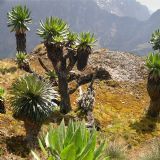 Western and central Rwanda has steep mountains and lies at elevations between 1500 and 2500 meters above sea level. 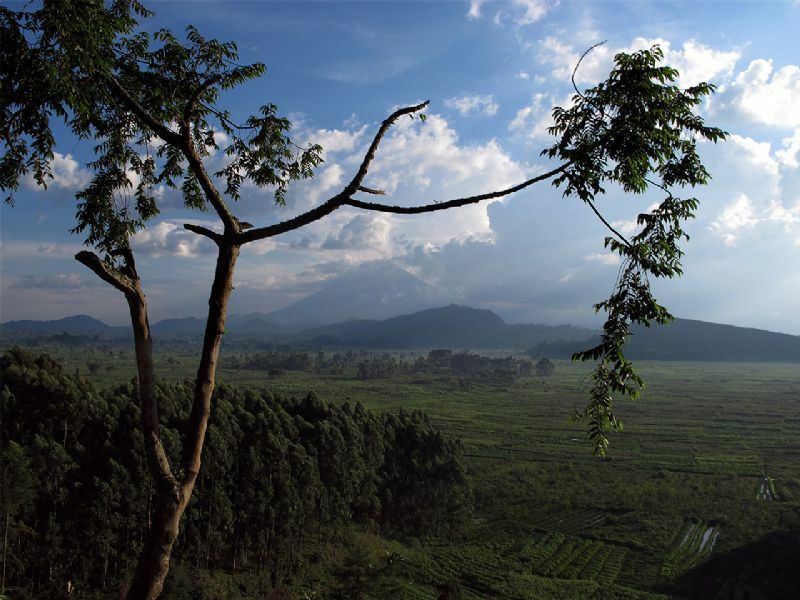 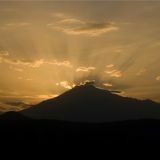 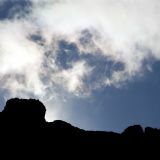 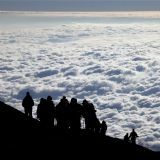 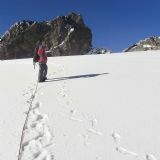 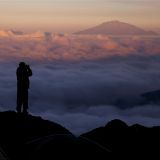 The Virunga Volcanoes give a lot of hiking opportunities through beautiful scenery. 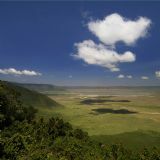 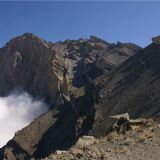 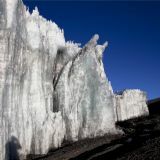 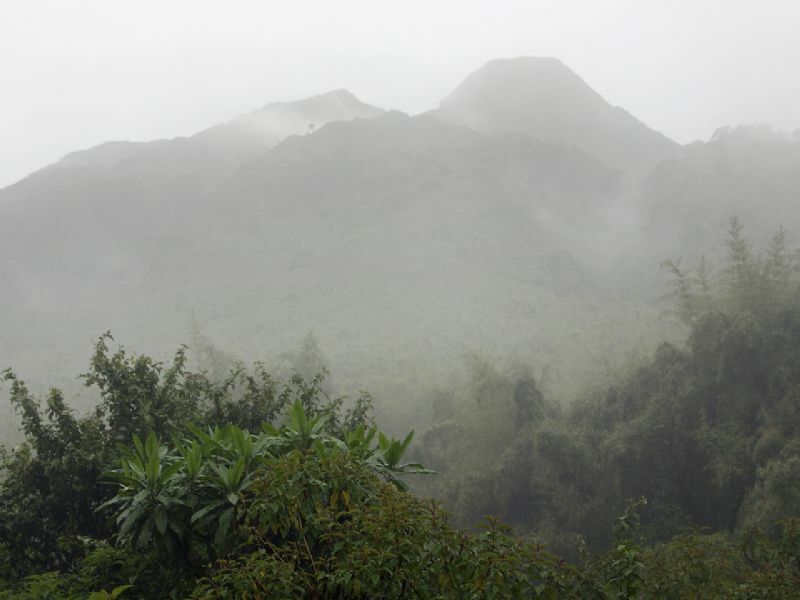 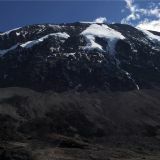 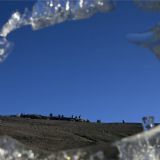 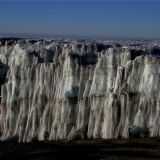 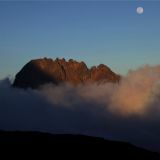 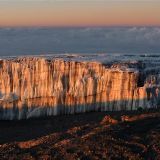 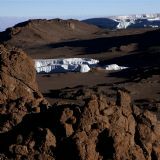 The steep mountains only give way in the eastern part of the country, nearby the Tanzanian border. 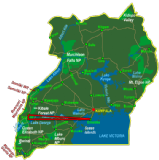 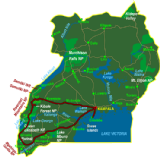 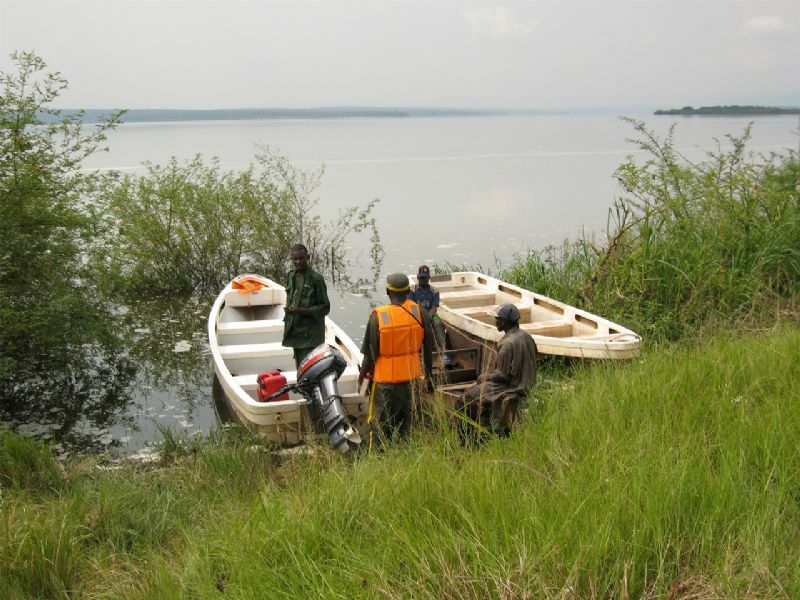 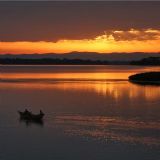 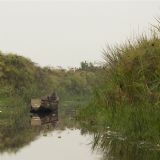 The lower lying terrain is part of the Lake Victoria Basin, with the Kagera River. 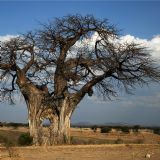 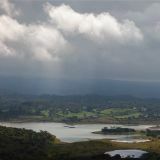 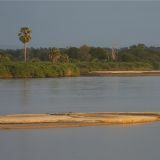 Much of this ecosystem is protected within the Akagera National Park. 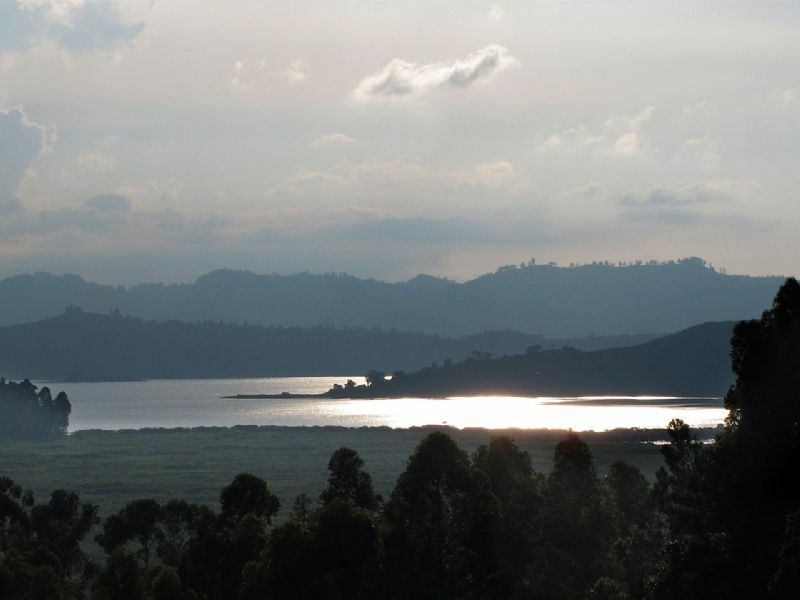 Rwanda is a tropical country and much of it lies on the African plateau. 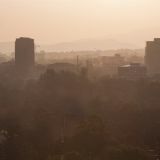 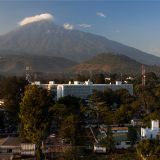 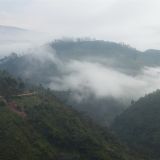 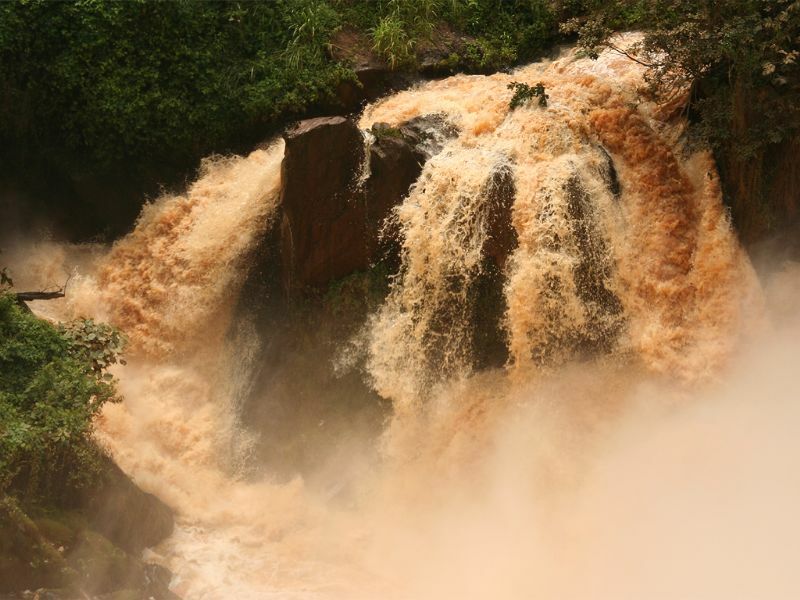 This gives Rwanda a nice tropical climate, with temperatures averaging between 23 and 28 degrees Celsius during the day and between 11 and 17 degrees Celsius at night. 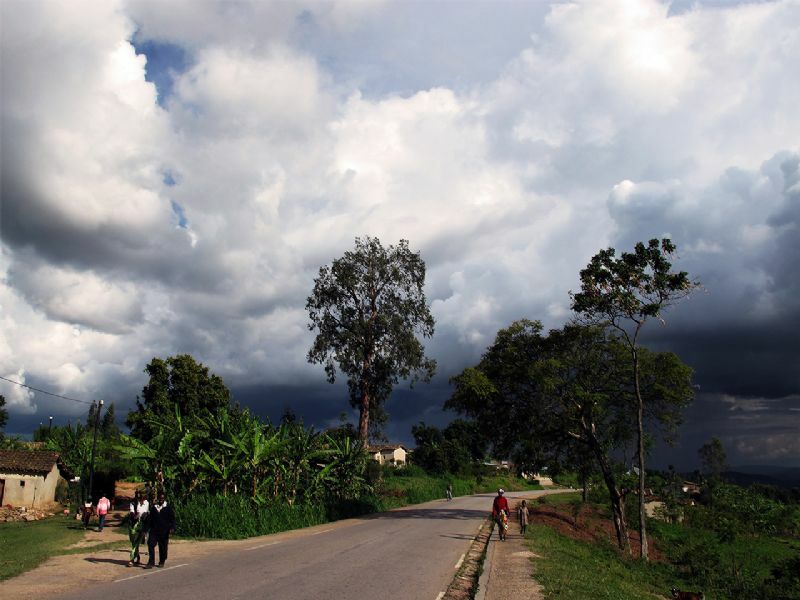 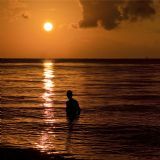 The rainy seasons are from March to May and October to December. 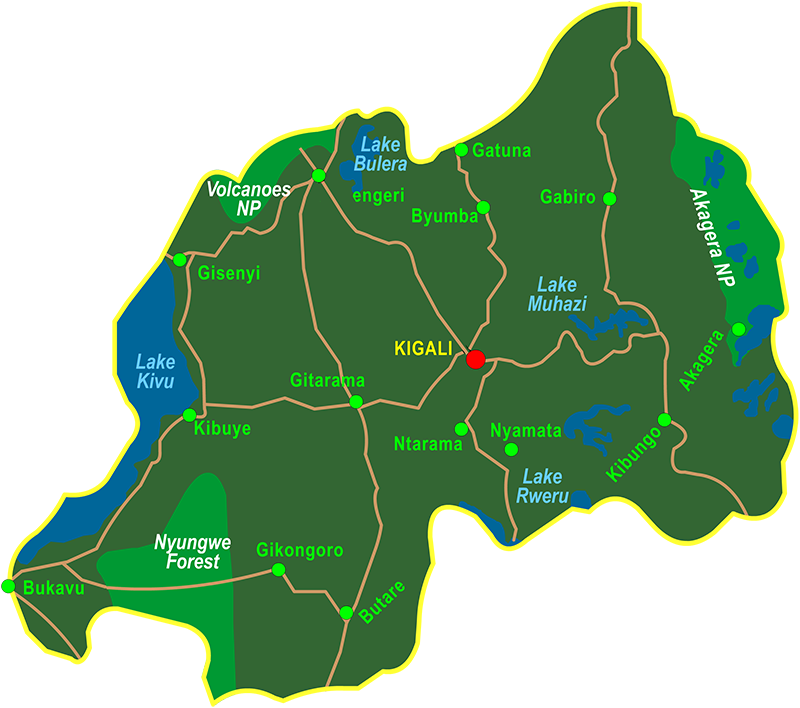 The official languages of Rwanda are French and Kinyarwandais, but English is also widely spoken. 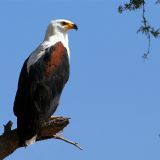 And nowadays English is getting more and more popular. 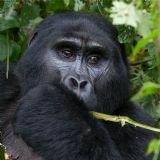 The currency is the Rwandan Franc (RFr). 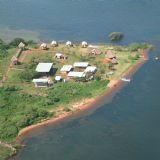 The land is 26.338 sq. 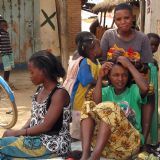 kilometers, with a population of 8 million. 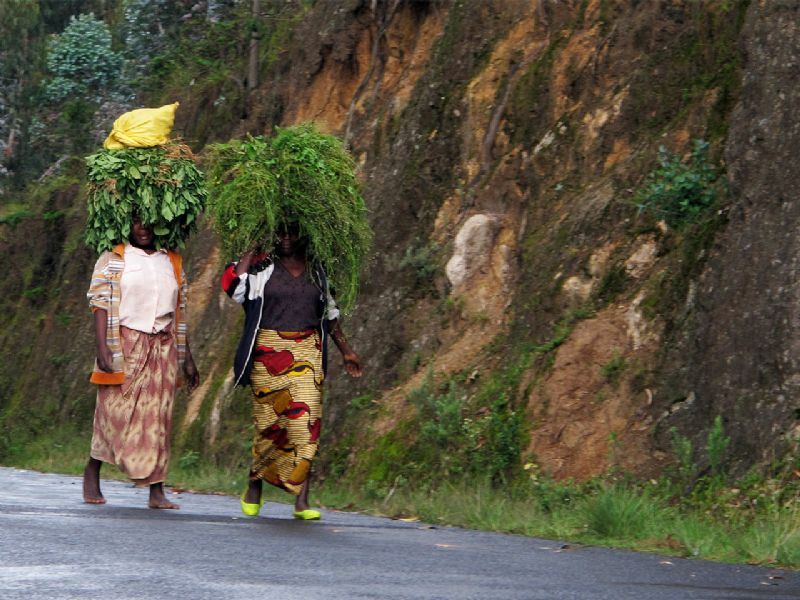 Rwanda is very colorful and has many different tribes of local people. 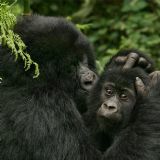 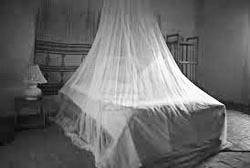 The best known are the Hutu’s, Tutsi’s and Pygmies. 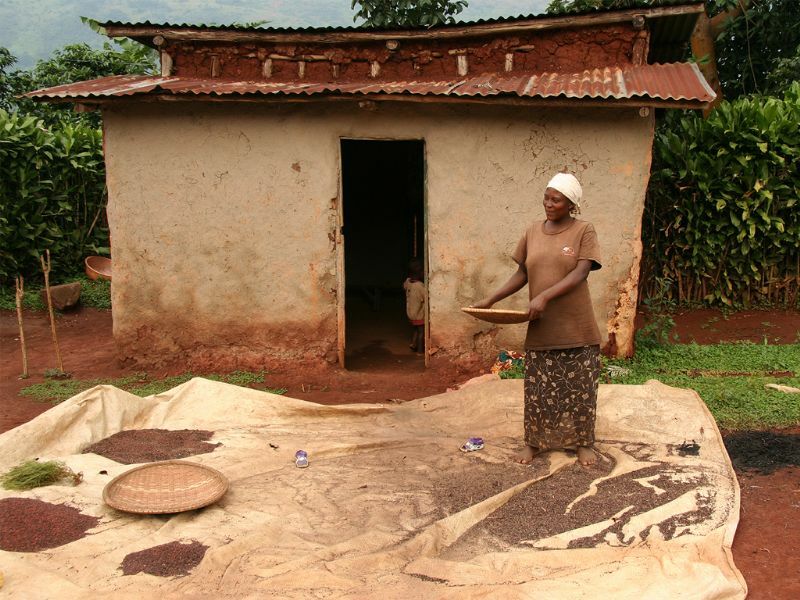 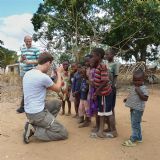 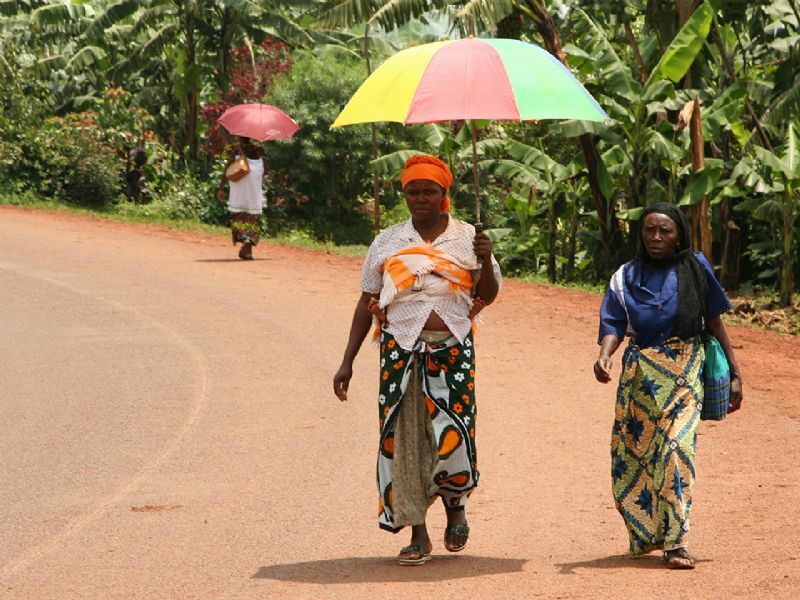 During a trip with Kazinga Tours, there are many opportunities to visit the local people. 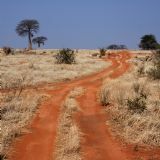 Our driver can take you there or just make a stop on the way to visit a market, a church or a school. 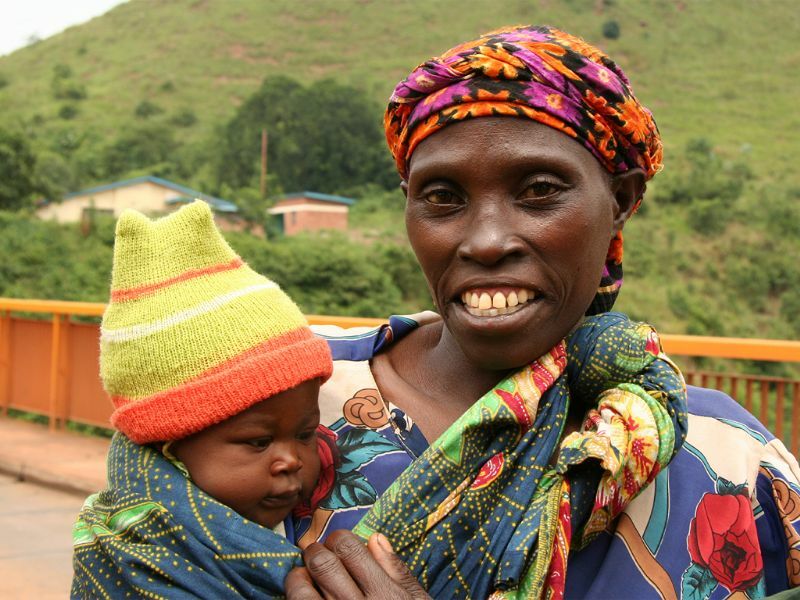 Rwanda made a remarkable come back after the 1994 genocide. 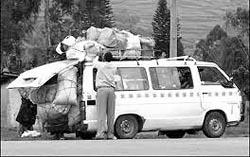 The country is built up in a good and modern way and the dividing between Hutu’s and Tutsi’s is no longer there. 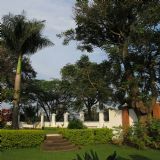 For people willing to see that part of the Rwandan history there are memorial centers in the bigger towns. 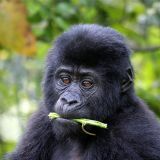 The best know is in Kigali.